The IFA is staging a protest at the Department of Health nine months on from a Government promise to reduce nursing home charges on farming families. Dozens of IFA members marched to the Department of Health's head office in Dublin this Tuesday to demand the three-year limit promised by the Government on nursing home charges calculated on the basis of family farm property. 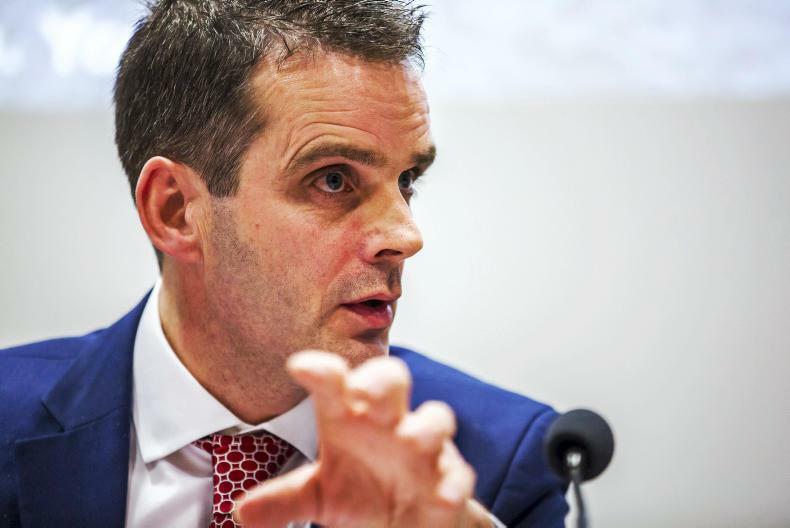 Leading the protest, IFA president Joe Healy said the Government has abandoned farm families by failing to implement the measures since adopting it at a cabinet meeting last July. Listen to Joe Healy and farmer Joe Carroll in our podcast below, and read more about Joe Carroll's story here. Under the Government proposal, the value of a farm or other small business asset should be taken out of the Fair Deal scheme's means-testing calculation when its owner has been in a nursing home for three years when a family member commits to taking over the farm. More and more families are going over this time limit but they keep paying as the Government has yet to present legislation to the Oireachtas. “In the time since Cabinet approved the proposal, it has cost individual farm families an estimated €40,000 in nursing home costs,” said IFA farm family and social affairs chair Caroline Farrell. The IFA is calling for the changes to be implemented without further delay and retrospectively applied to July. The association also wants the three-year limit to apply when a family successor takes over a leased farm.